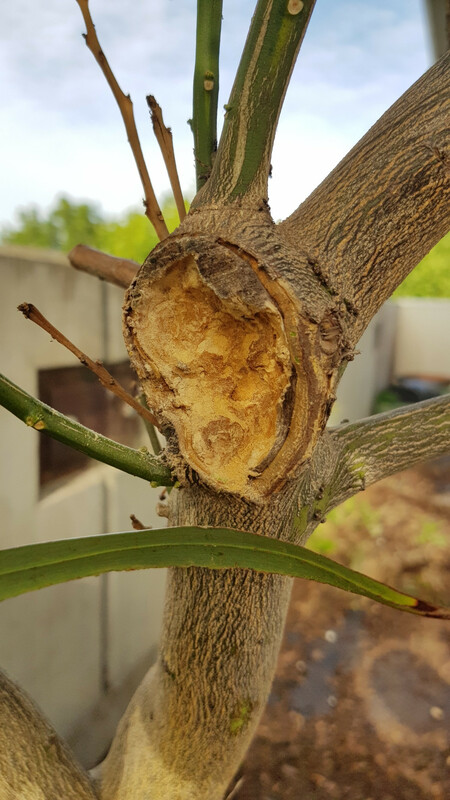 Why would my citrus tree have dying twigs, burrowing insects and black scale? In the middle trunk, where a large branch was pruned years ago, there seems to be some burrowing insect that's causing saw dust and what looks like tunnels. Also I've been scraping black scale off the citrus and have sprayed with white oil, pyrethrum spray. Any other ideas about what could be happening? What should I do about it? Browse other questions tagged diagnosis insects citrus scale or ask your own question. How to remedy die-off of lower and middle branches on my plum tree? Why is the bark falling off the base of my Corkscrew Willow's trunk? Why did a section of leaves on my Holly bush turn brown? What is causing this damage on my apple tree? Why does my lemon tree have black scabs on the lemons and yellow spots on the leaves? 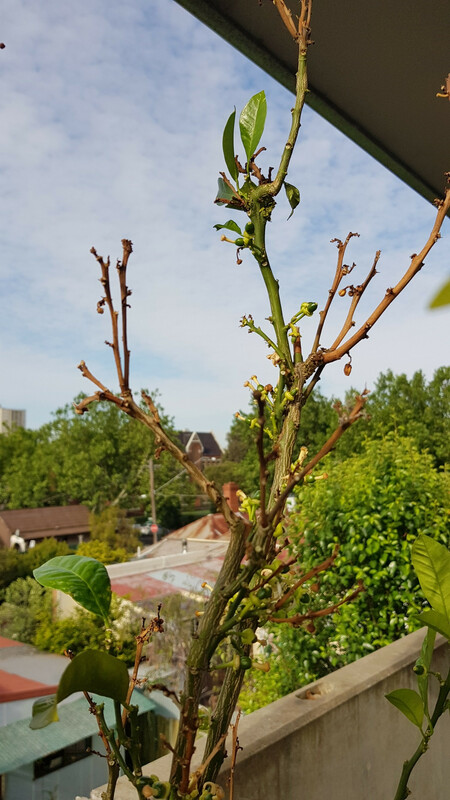 Why does my mandarin tree (Citrus reticulata) have yellow leaves with speckled bottoms? Black spots on echeveria leaves - cause? How can I control scale insects on an indoor olive?